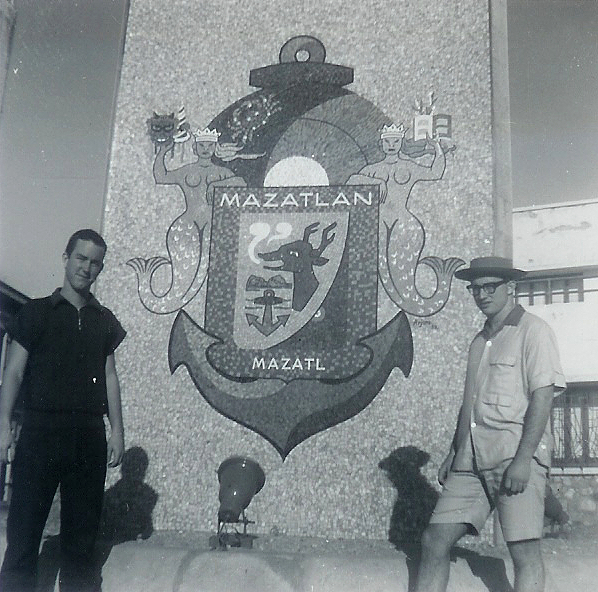 During spring break 1960, five of us (Joe Berger, Chris Carpenter, Bill Colby, Bill Jacobson and Gerry Wick) drove to Mexicali and took a Mexican train to Mazatlan. Joe was the instigator, and unfortunately he is not in the pictures I have. Now college students take spring breaks in droves to Mexican beach resorts. I think that we were way ahead of our time since there were no coeds in sight, but we did make a number of Mexican friends. Chris and Gerry posing in front of the town monument. Do we look like turistas or what? 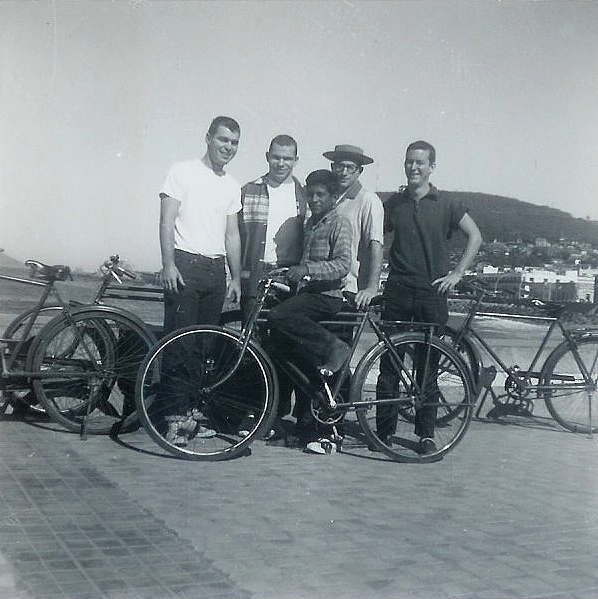 Jake, Bill, Gerry and Chris with a Mexican lad who adopted us and went everywhere we went.